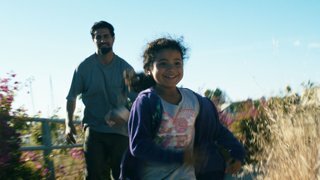 After a classroom assignment causes Maria, a creative young girl, to face an absence in her family, she begins a journey to reconnect with faint, early memories. Meanwhile, her father, a hardworking laborer, avoids remnants of his past and whatever those traces may bring. Ultimately, this determined child and her resilient father must discover a way to mend love and memories as they confront loss. A storyteller, artist, and craftsman, Vincent Cortez was born, raised and is still based in the diverse Fruitvale community of Oakland CA. At an early age, he developed a passion for filmmaking. Since graduating from SFSU’s Cinema Production program and launching his own company, his short and feature-length films, as a producer and director, have garnered awards at festivals, along with being distributed domestically and internationally. Vincent prides himself on creating high-concept/low-budget films that cross all genres, with character and story always at the forefront. His work on projects, like his debut feature "The Hush," a supernatural thriller about a hitman fighting to redeem himself while facing the ghosts of his victims, or his short, dramatic horror film “Darkness of Night," about a boy living in an abusive household who must confront the monsters of his reality (selected to air on Robert Rodriguez's El Rey Network), are just a couple of examples of his creativity and ability to create compelling and engaging experiences. Additionally, he has written articles for media publications, and spoken about film on panels and on public radio. Vincent also teaches filmmaking to at-risk youth, helping them find their stories from creative and technical standpoints. He currently runs his production company, Mitchell Street Pictures, building content of various styles, working alongside his wife and producing partner, Sofia Cortez, and spending time with their daughters. Maria and her father try to rebuild their relationship after dealing with a terrible loss in Dad. Writer, Director and Editor Vincent Cortez spoke with us about his inspiration for the film. Read the Full Q&APBS: Single fathers raising their children isn’t something widely discussed in our communities, though it’s likely more common than we think. What made you decide to go this route with the story, as opposed to a mother-daughter film? Vincent Cortez: There are two key reasons that I went the route of a single father and daughter in this film. On various levels throughout society, I feel like we don’t hear many stories about single fathers raising their children, and the struggles they face. And while any single parent doing their best for their child is admirable, I’ve known some loving and hardworking single fathers and feel that lack of representation in media and popular culture can perpetuate misconceptions and withhold what could be empowering and transformative experiences. Additionally, as a filmmaker, I’ve tended to write stories based on things that I’m deeply connected to. As a father of two young girls myself, both of whom are featured in this film, I can recall at the onset of this story, thinking about what my own life would be like if I somehow became a single father. What challenges might my daughter(s) face? What would I be afraid of? And what would our lives be like? In many ways this film is an exploration of those questions. For over eighteen years, The National Association of Latino Independent Producers (NALIP) a membership organization, stands as the premiere Latino and diverse media organization, addressing the most underrepresented and the largest ethnic minority in the country. NALIP's mission is to promote, advance, inspire and advocate for Latino and diverse content creators across media. NALIP serves the needs of diverse content creators including, producers, performers, writers, directors and industry professionals. NALIP has had success holding national initiatives and programs, including the Latino Lens Incubators, which encompasses the narrative, digital, documentary and TV/streaming tracks. The Latino Media Resource Project, Diverse Women in Media Initiative (DWIMI), the Latino Media Market held during our annual Media Summit and under the Latino Lens umbrella the Mentorship Series and Latino Lens Festival and Showcase. NALIP focuses on increasing quality and quantity of projects and talent from diverse emerging content creators, mid-career to seasoned professionals across the television and film landscape across all media. NALIP works to provide the necessary and innovative tools, programs and projects for the community and ultimately for the public at large.